Lost Creek Llamaprints began in 1995 with the mission of delivering the highest quality information available on performance llamas and their equipment to the llama lover and user at a fair price. Lost Creek Llamaprints is also pleased to offer well-written llama stories that will be enjoyed by all animal lovers. Montana Gold . . . Author Gwen Ingram has extensive experience since 1986 packing with llamas under highly demanding conditions, including distance packing (continual 20+ mile days), heavy load hauling (up to 120 lbs payload per llama), and contract packing unusual and awkward loads for varied clients, including the USFS. Gwen has also provided sucessful consultation for innumerable llama packers and their highly varied pack llamas over the years. The heartwarming true story of a previously untrained, unwanted llama's transformation into a valued companion, show partner, and packer. Useful training techniques and information are woven throughout the thoroughly enjoyable tale. Includes 30 black-and-white photographs. For trainers and animal lovers of all ages! "I started reading "Waldo" one evening before going to bed and wound up staying up until I finished it"
"I gave it to my mother to read (and she's not a reader) and she couldn't put it down"
Whether you're sitting around the campfire or just wish you could be, Fred Neil's well-woven tales immerse you in the sounds, smells, sights, and adventures of the great outdoors. 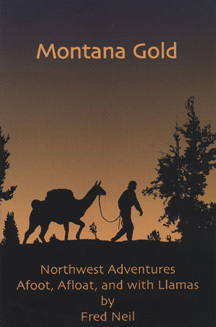 Follow tranquility to crisis and back again in Deep Woods, chuckle at the sometimes bumbling determination of a budding angler in Troutquest, laugh with the shrewd insights in Training with Llamas, float the waters -- both peaceful and raging -- of Time in the Islands, and experience the summer of Montana Gold. get excited when they see you coming and it's NOT feeding time? approach you confidently and respectfully? calmly allow you to touch them everywhere ... even when off lead? follow you readily anywhere -- at home and away from home -- on a completely loose lead ... and with NO lead? come to you for support and reassurance? And wouldn't it be awesome ... if it took you one-tenth of the time to establish a 10-times-better relationship with each of your llamas? Discover the fun, fascination, and relationship with llamas you've only dreamed of -- or haven't dared to dream of! Learn how to be your llama's ideal partner ... with trust, respect, and communication ... GET CONNECTED! Discover vital facets of llama performance . . . experience them . . . and understand them! For the first time, learn to separate fact from aesthetics and folklore, examine them critically from a biomechanical perspective, and apply them specifically to llamas. Llama packers and drivers will learn valuable tools for maximizing their llamas' potential, and performance llama breeders will gain valuable insights from the seminar's clear presentation, hands-on exercises, and in-depth video support. Written material and a complete bibliography are included. Join us for a fascinating, in-depth exploration of llama biomechanics, conformation for performance, gaits, scaling, and more -- and apply them to your own real-life needs. Prepare for a paradigm shift -- you'll never look at llamas the same way again! Email to be notified when the next Functional Llama Seminar is scheduled! 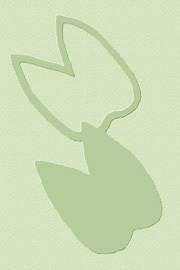 Workshops are currently held every two or three years in Dexter, Oregon. A series of videos that explains each physical aspect of llamas that affects performance. This series will be a must-have for all serious performance llama breeders, for all prospective buyers who want to maximize their chances of finding a llama that will suit their needs, and for those who want to do the very best by the working llamas they now own. Can't wait? Email to get on the mailing list for the next Functional Llama Seminar! Most behavioral problems and handler frustrations are a direct result of crossed wires -- the two species don't understand each other. Llama have a language that is, in many important ways, unique to them. They can't read about humans, but with this book, you can learn to relate to them successfully. Jam-packed with the basic information you'll need to care for llamas and to handle them safely. Includes sections on basics of choosing llamas, feeding and housing, management concerns, caring for older llamas, neutering, how to halter, how to pick up feet successfully, and more. You'll appreciate having this volume when you get your first llama -- and you'll refer to it again and again. A thorough treatment of the single most-used piece of llama equipment with eye-opening information and important tips on fitting for comfort and function. Updated and expanded from its original publication in The Backcountry Llama Newsletter. How to groom efficiently, effectively, and humanely to keep your classic llama healthy and functioning optimally for work! Also includes information on proper show grooming for the classic coat type, reclaiming a neglected coat, and effective management tips for intermediate type llamas (those with coat characteristics of both classic and woolly types). Updated and expanded from its original publication in The Backcountry Llama Newsletter. The most useful thing you can teach your llama! Imagine just walking out into your pasture and right up to your llama. Or strolling up to your packer who's somehow gotten loose. If your llamas understand the concept of "stand" and are comfortable being approached, you will spend more time doing what you got llamas for, and you'll also leave aggrevation and panic behind. Updated and expanded from its original publication in The Backcountry Llama Newsletter, and incorporating the successful techniques of the Get Connected! workshops. REMEMBER: All artwork and designs on these pages are the original work of Gwen Ingram (or the named photographer) and are fully copyrighted under law. Enjoy them, but don't even think about using them in any way. There are much cheaper ways to meet the Llamaprints copyright lawyer . . .